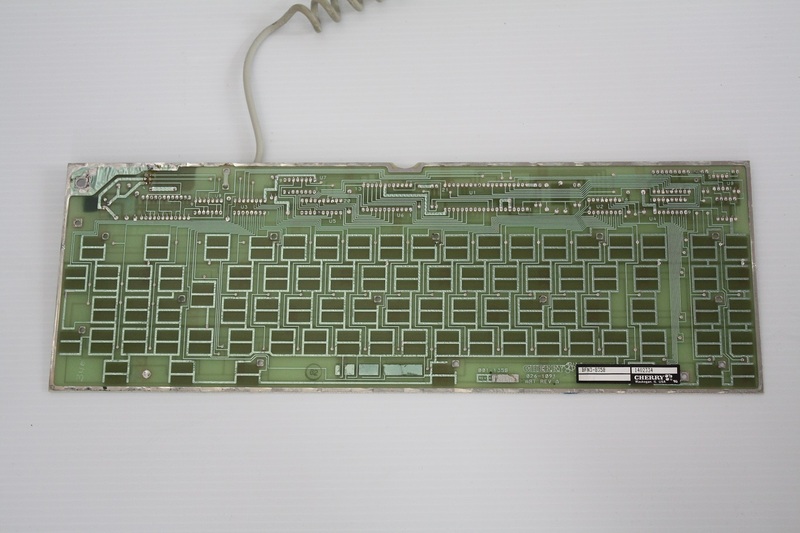 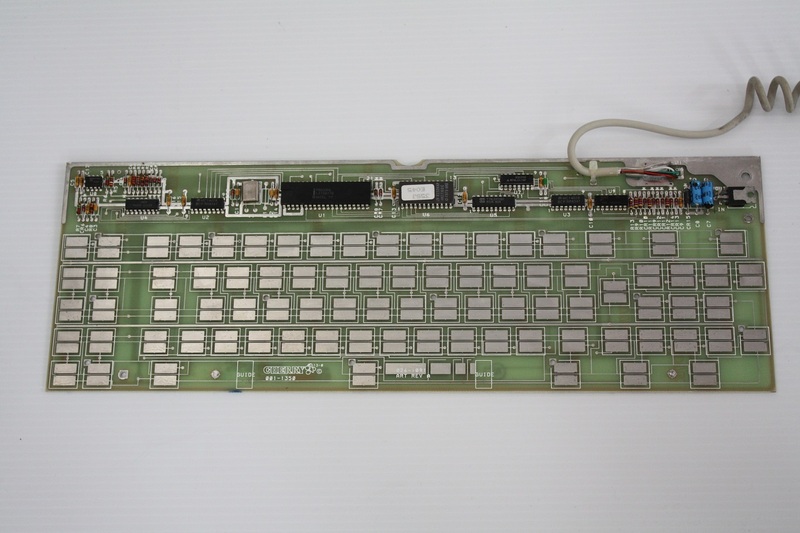 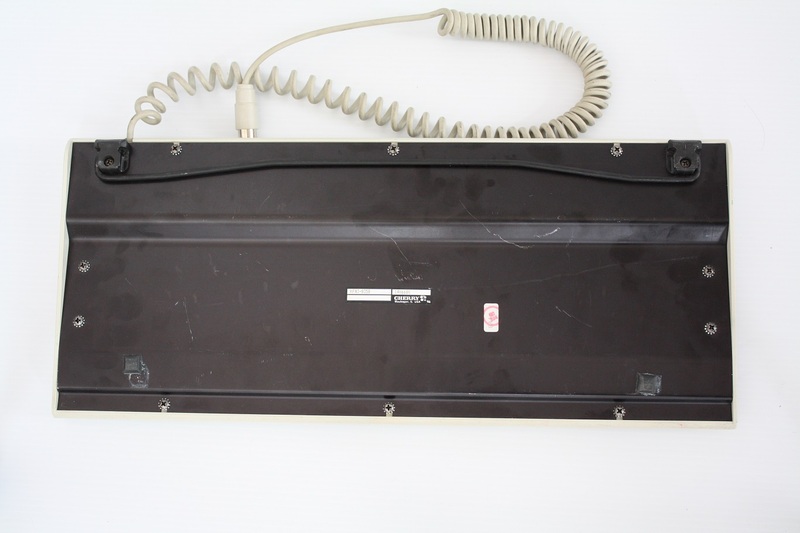 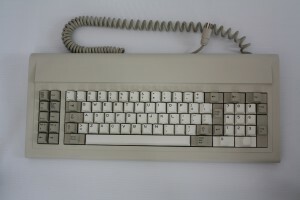 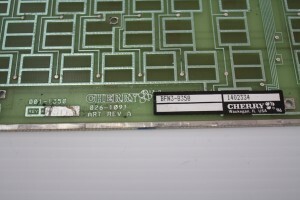 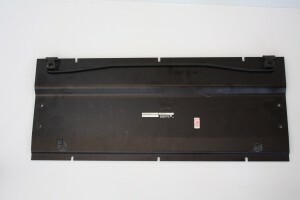 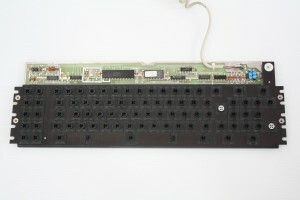 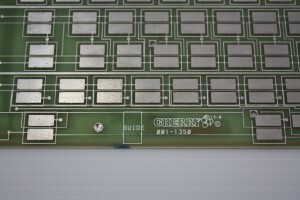 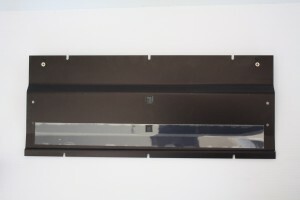 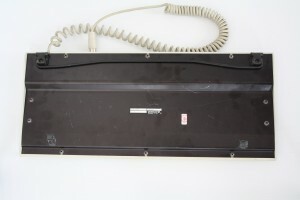 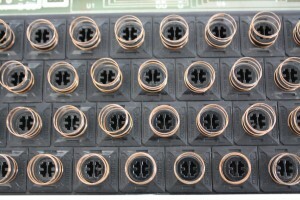 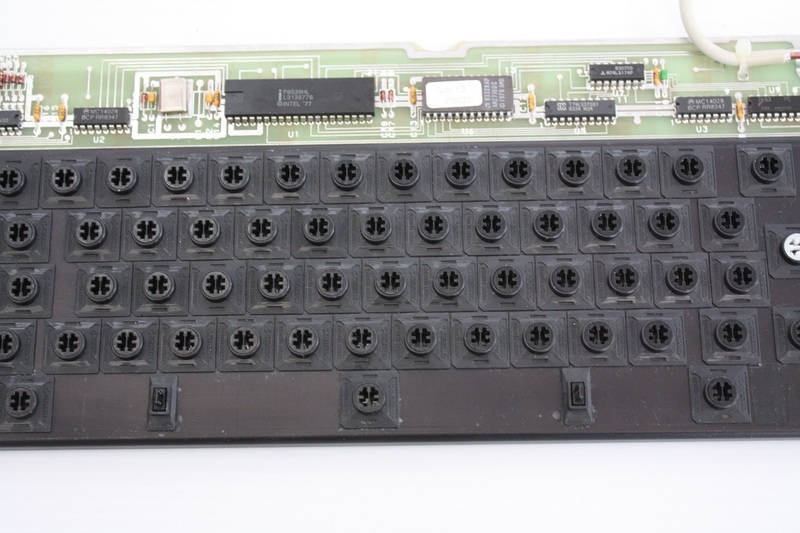 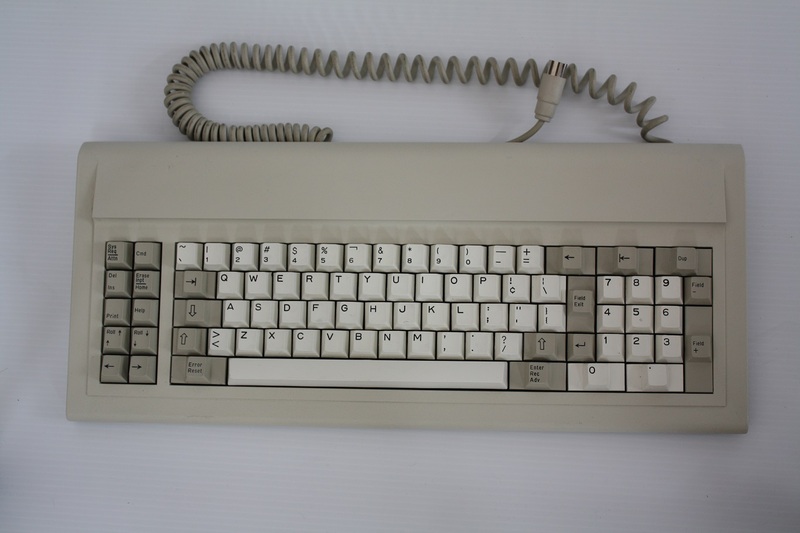 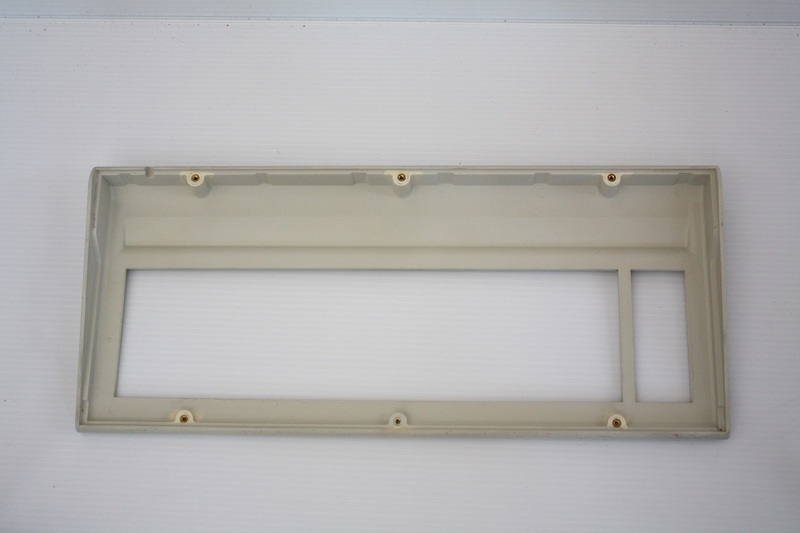 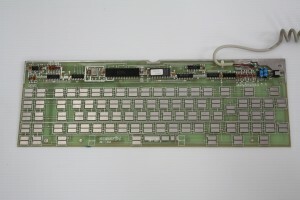 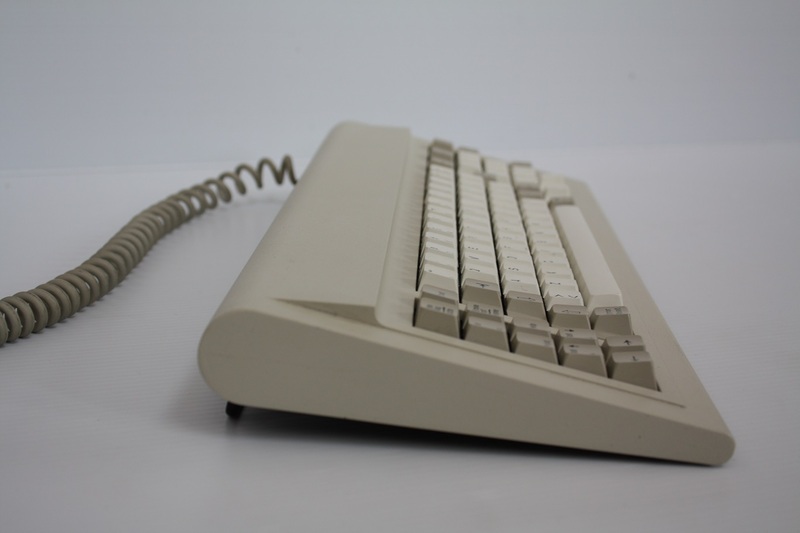 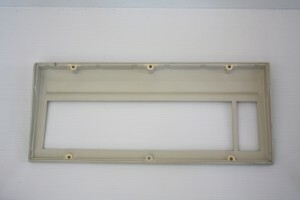 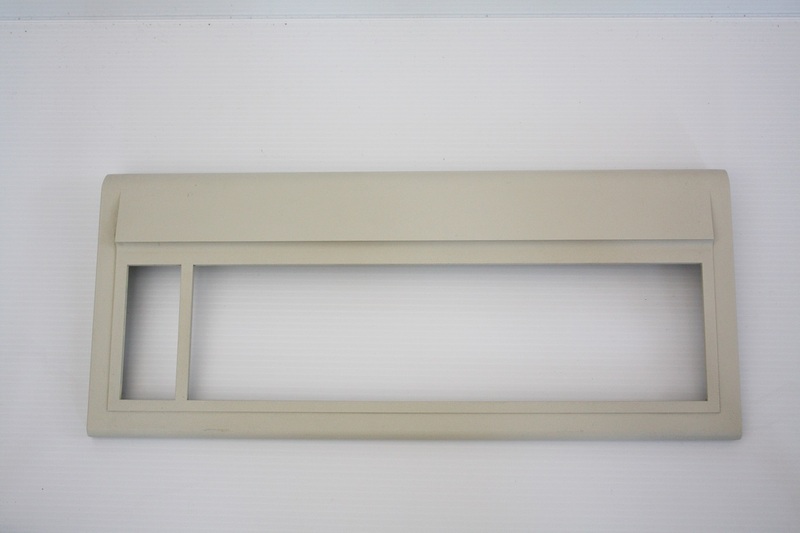 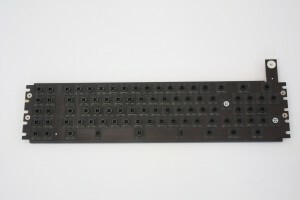 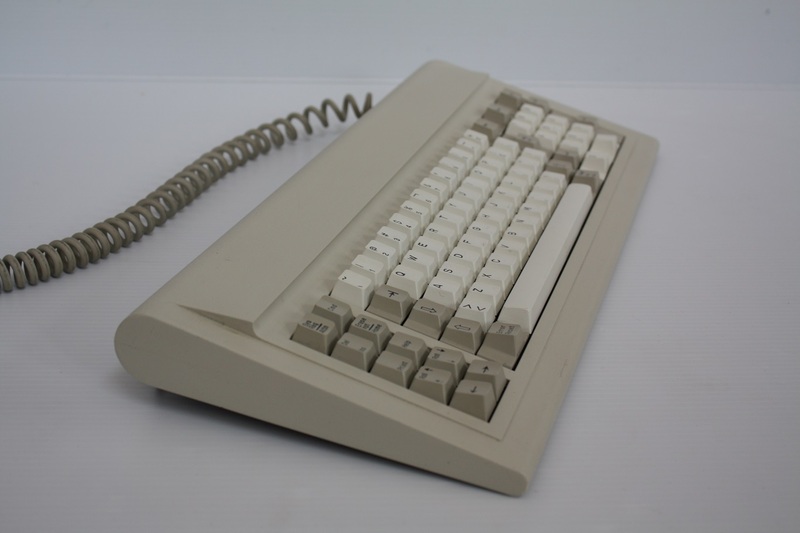 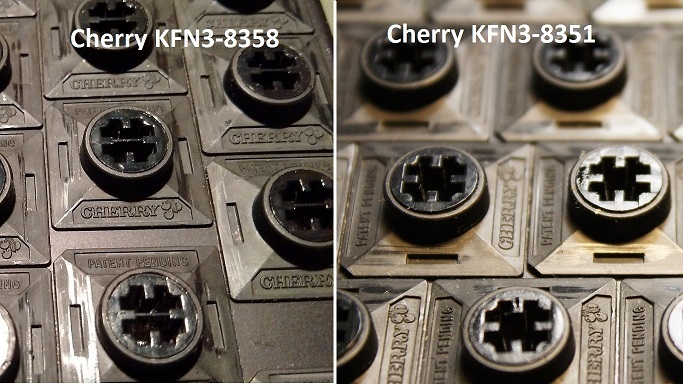 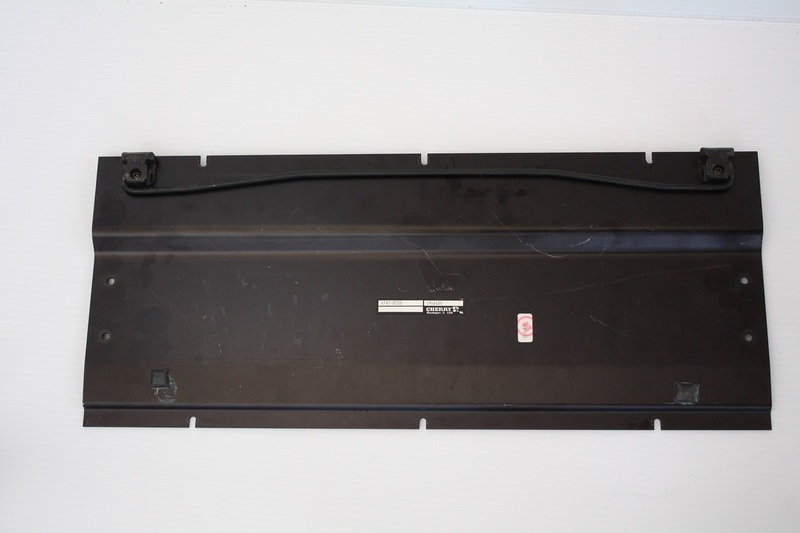 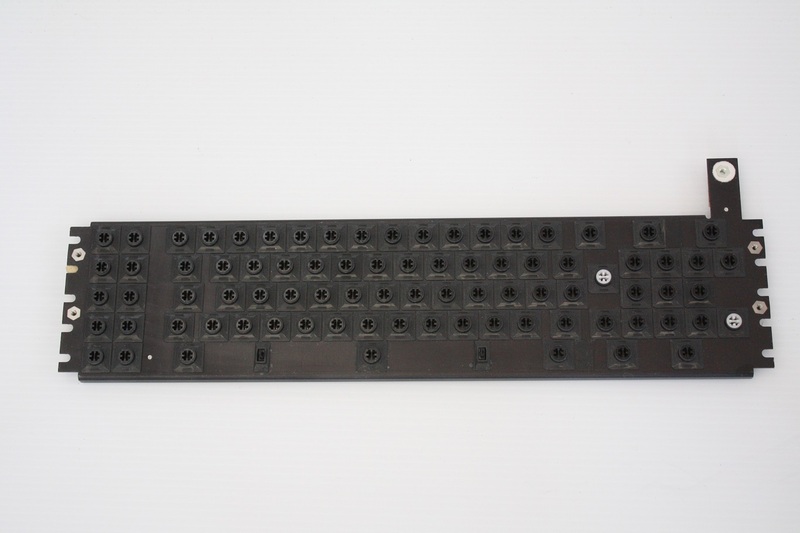 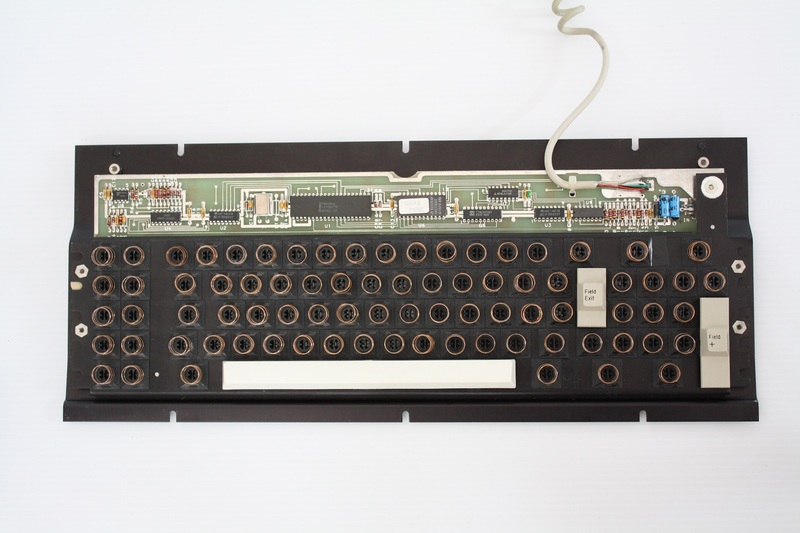 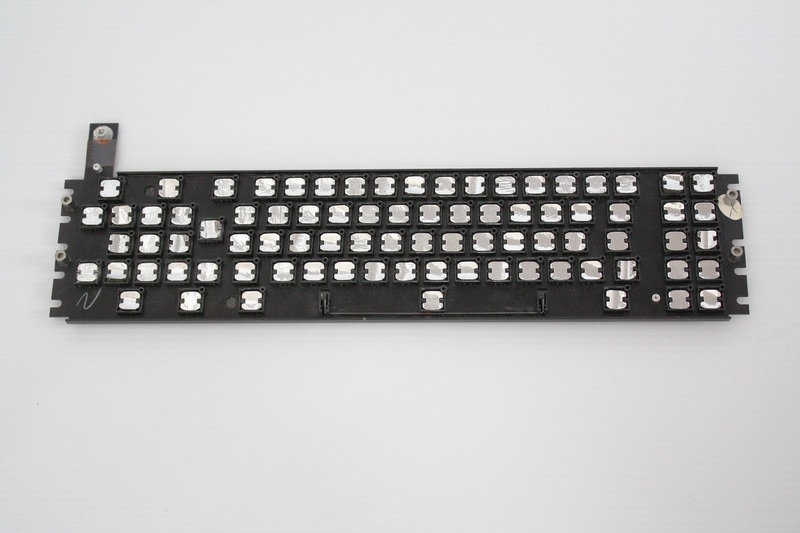 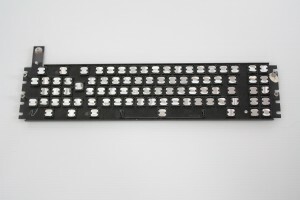 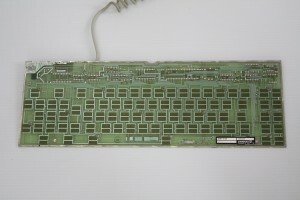 This keyboard was purchased at the same time as a Cherry model KFN3-8351 keyboard that looks almost exactly like this Cherry Solid State capacitive keyboard except for the model number. 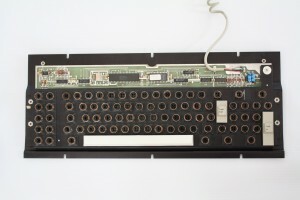 Once the key caps are removed and the internal keyboard mechanism is examined, that’s where things changed. 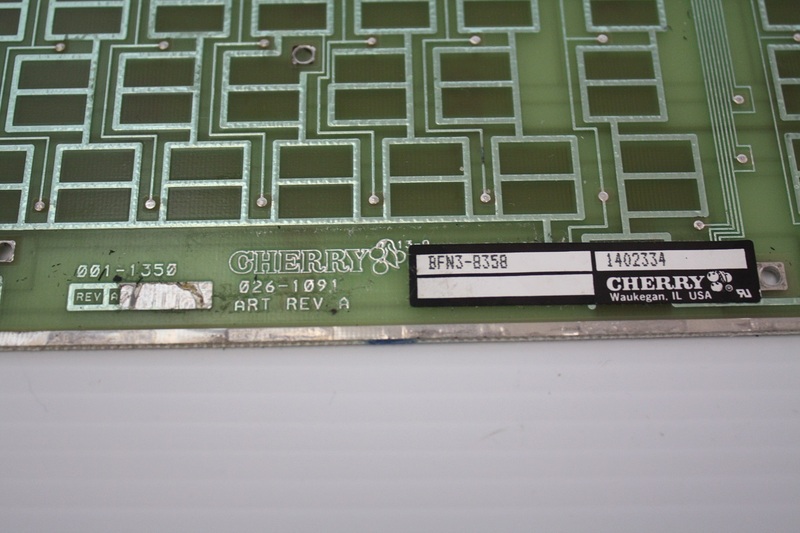 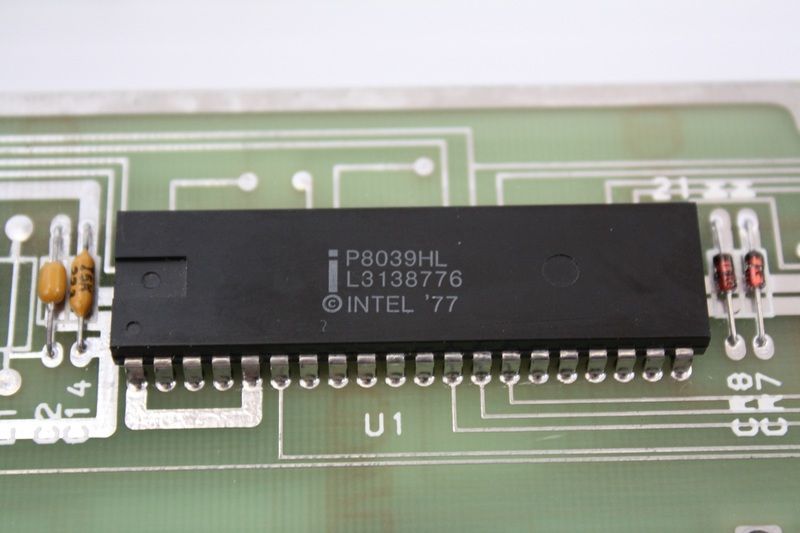 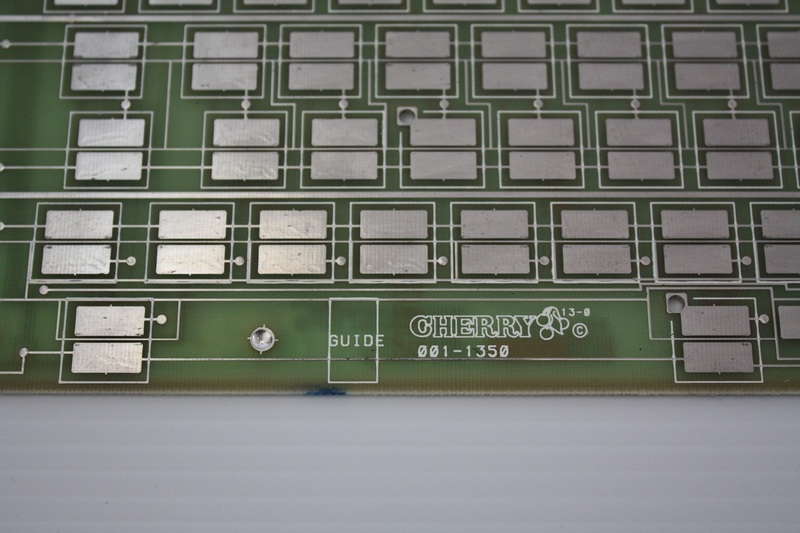 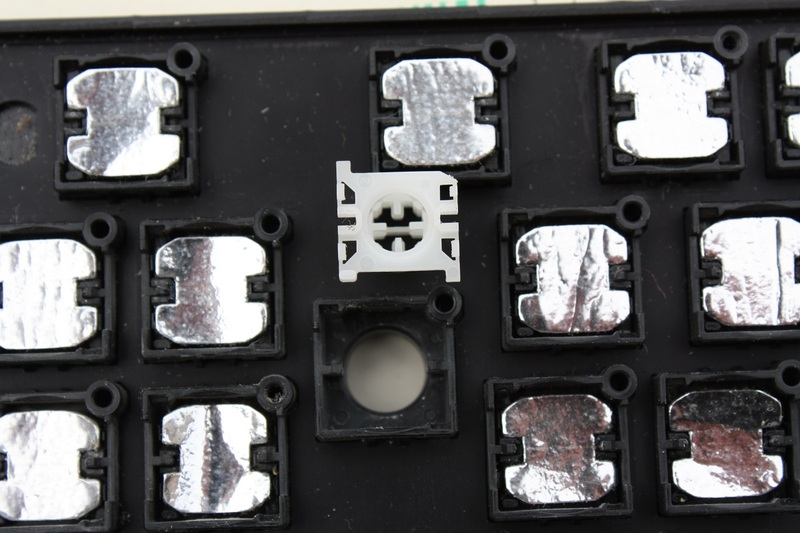 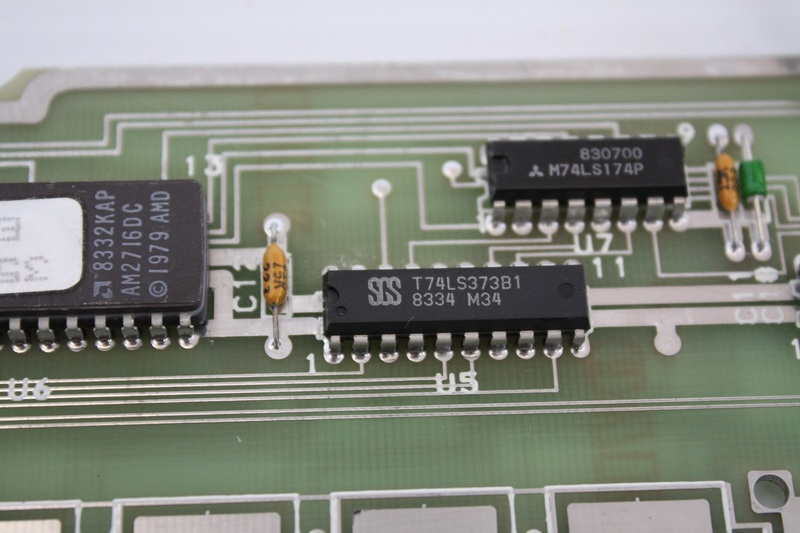 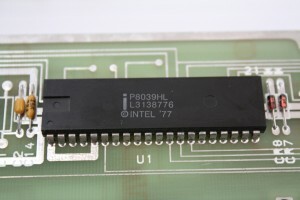 This model has a different capacitive circuit board design that is visible from the pictures below. 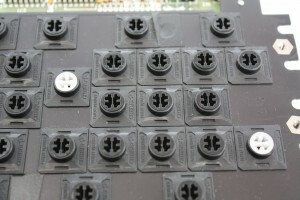 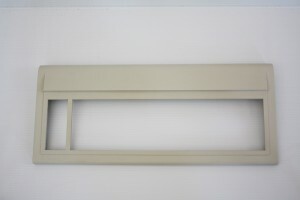 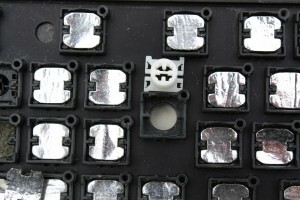 However, the main difference is the key switches. 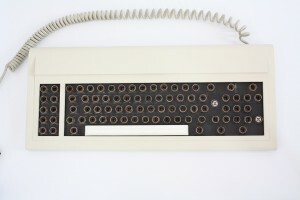 This keyboard on the left is different in that it has a slim plastic bar across the key cap hole. 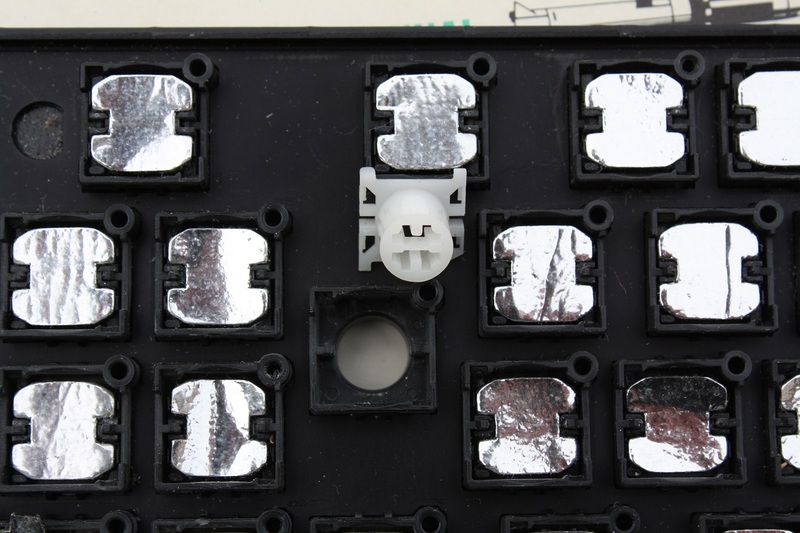 This may be have been put in place to stabilize the key cap mounting hole but it’s a guess at this point. 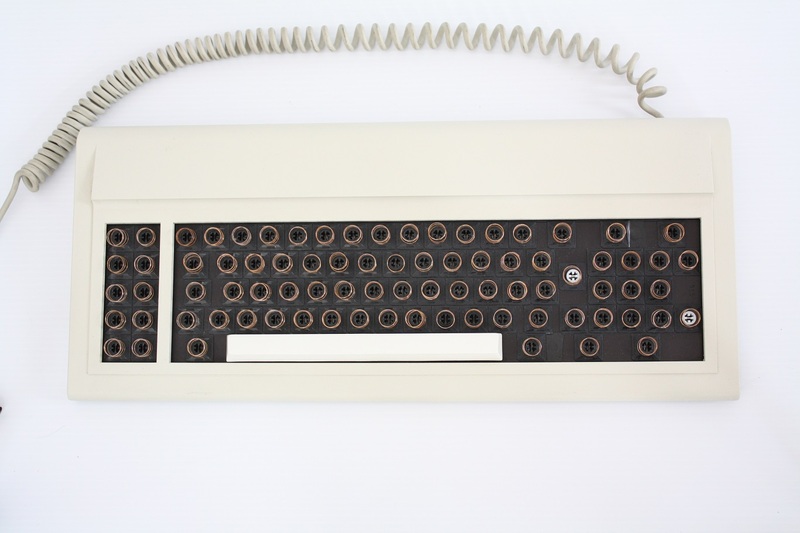 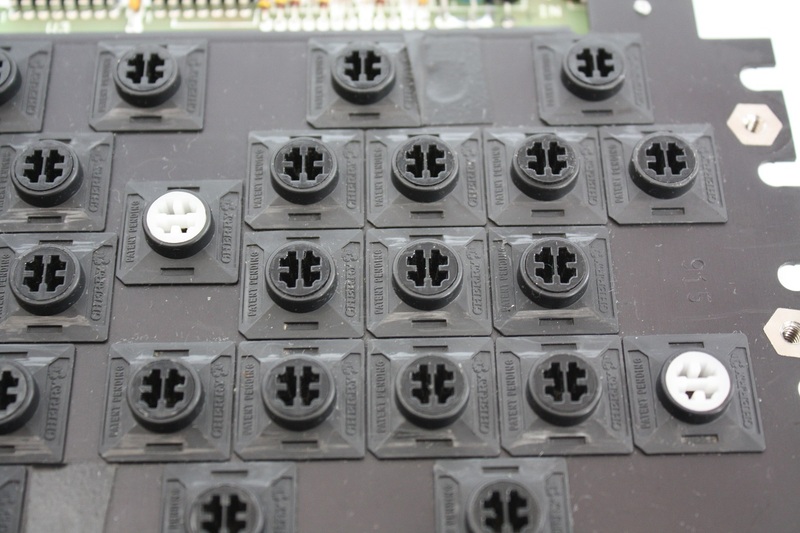 Also of note is that Enter key for the normal key region and the Enter key for the numeric key pad are adorned with white key stems. 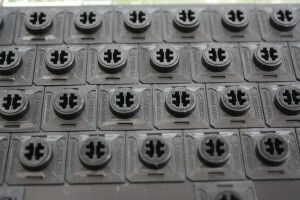 I can’t find any difference between the white and black stems. 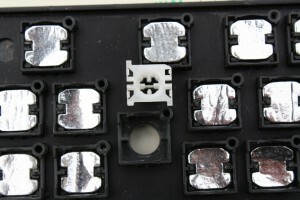 Since they use a foam and foil technology and the foam has long degraded, I can’t tell if the foam was any different. 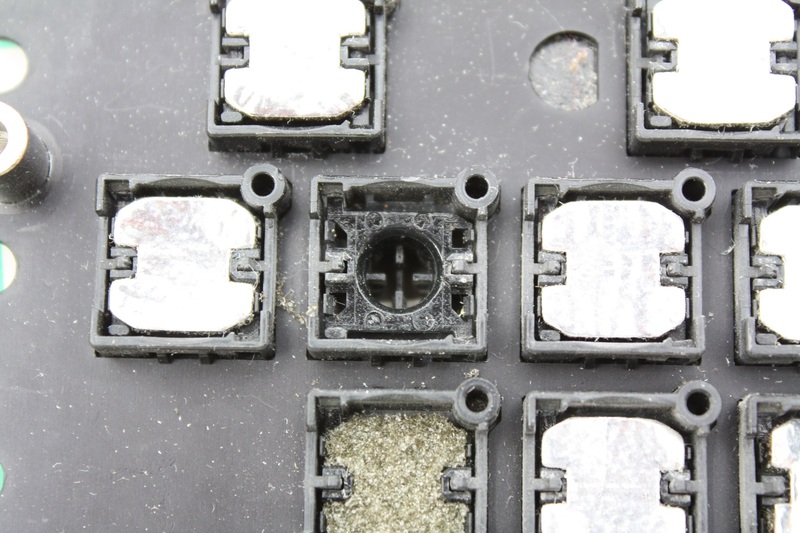 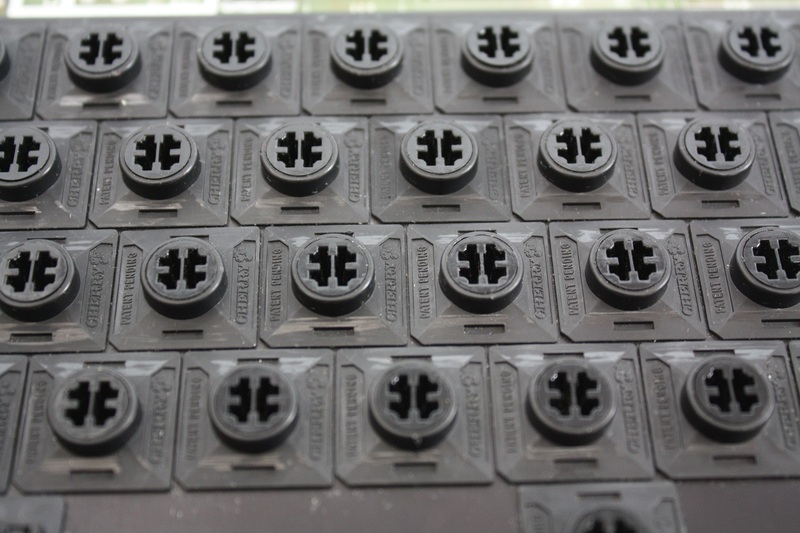 The external springs on the key switches are the same as all other keys except for the space bar. That spring is stiffer but the space bar has a black key stem like all other keys. 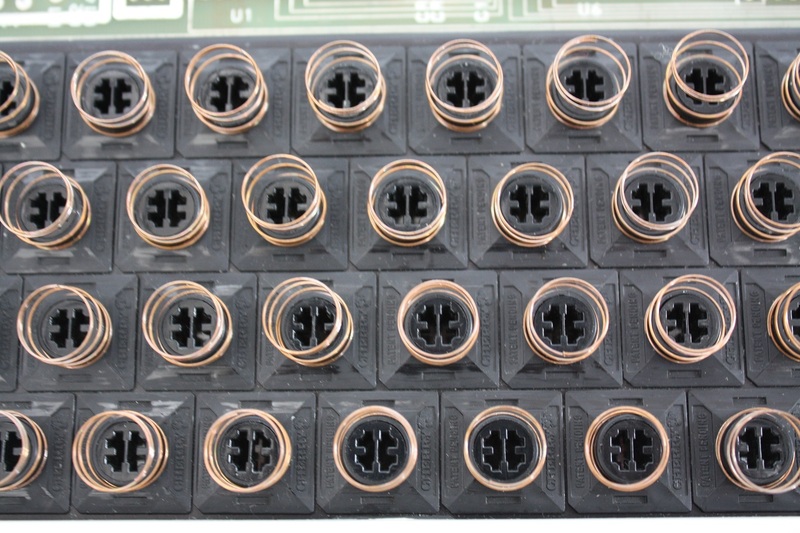 That’s a bit of a mystery.